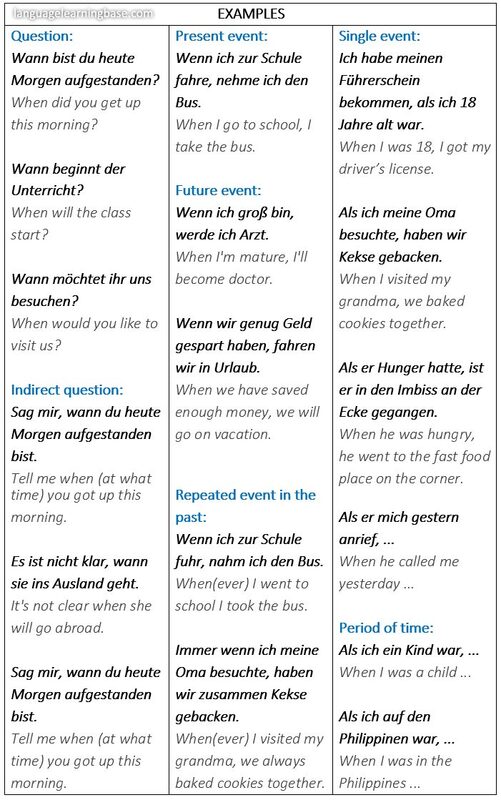 The conjunctions als, wenn, wann. Rules and examples. 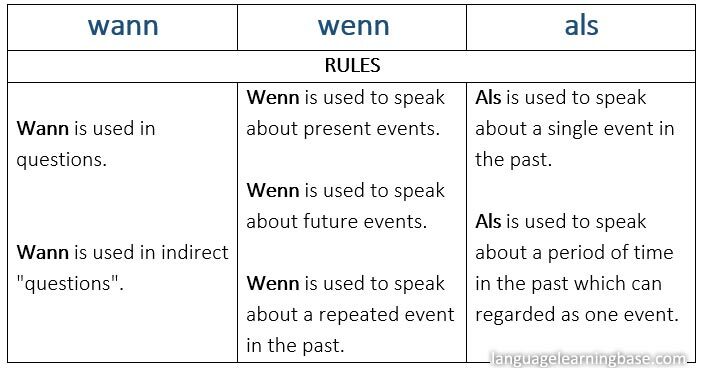 English "when" can be expressed in German by three different words: als, wenn, wann. Aim of this section is to learn the correct use of these prepositions.